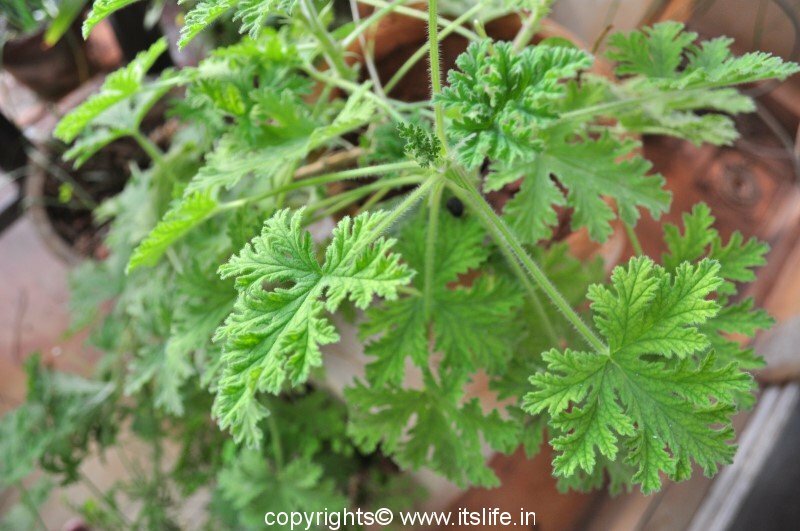 Scented Geranium for some reason is known as Lavender leaves in South India and the beautiful leaves are extensively used as an accent in a Jasmine garland. There are many types of Scented Geraniums and the other common names are Rose-Scented Geranium, Sweet scented geranium. 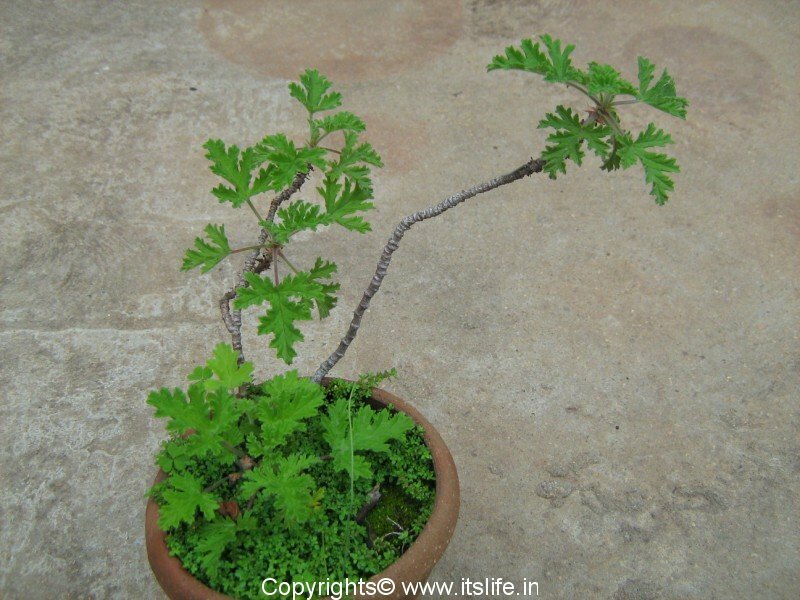 The botanical name is Pelargonium Graveolens and belongs to Geraniaceae (Geranium) family. 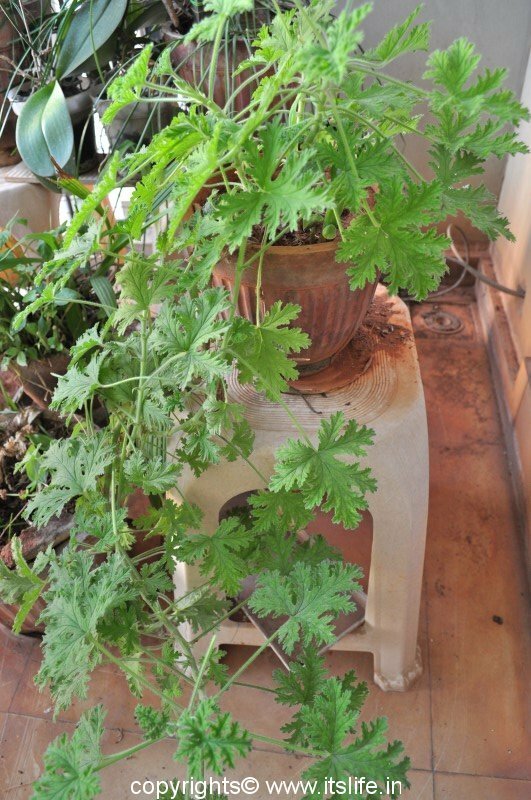 Scented Geranium grows to a height of 1 meter and can spread wide. They can be trimmed to branch out. The stems are hairy, tender, and green when young. The stem becomes hard as the plant ages. 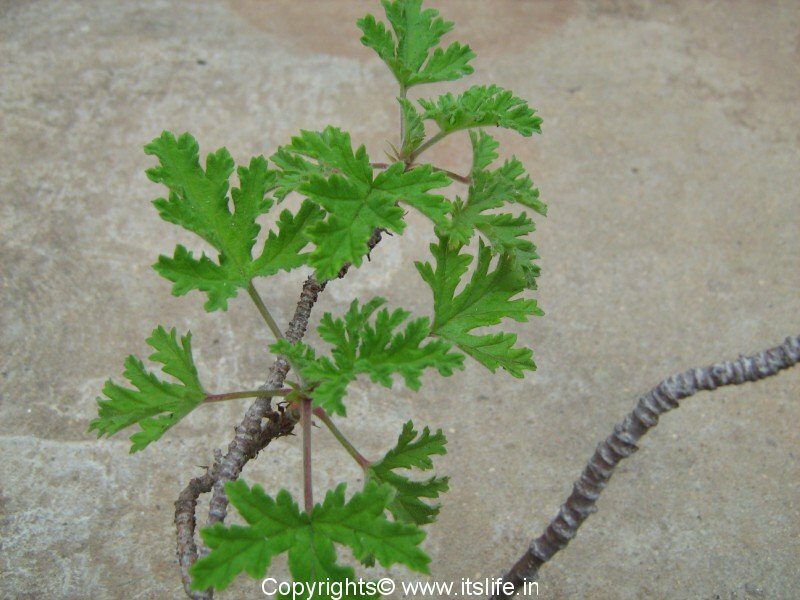 The leaves are deeply lobed, lacy, scented, velvety, soft, and hairy. The plant is prized for the scented leaves. The flowers, I read are pinkish and looks like any other Geranium bloom. I have never seen this plant in bloom. If any of you have come across a Scented Lavender in bloom, do let me know. 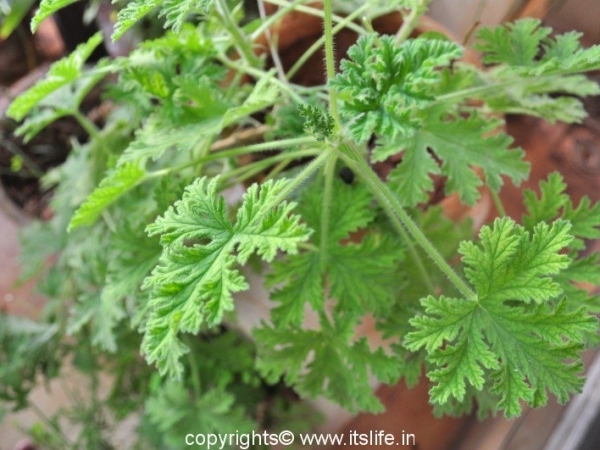 The leaves are used in the production of Geranium Oil, which is used in the cosmetic, aromatic healing and perfumery industry. Propagation of Scented Lavender is from cuttings in India. In places where they bloom, you can propagate them from seeds. Plant them in well drained, sandy soil. They require partial shade. Keep pruning to keep the plant bushy.